Purchasing a property is one of the biggest investments. Buying a property like house takes a lot of considerations like the location, the price, the quality of the house and the terms and conditions of buying the property. 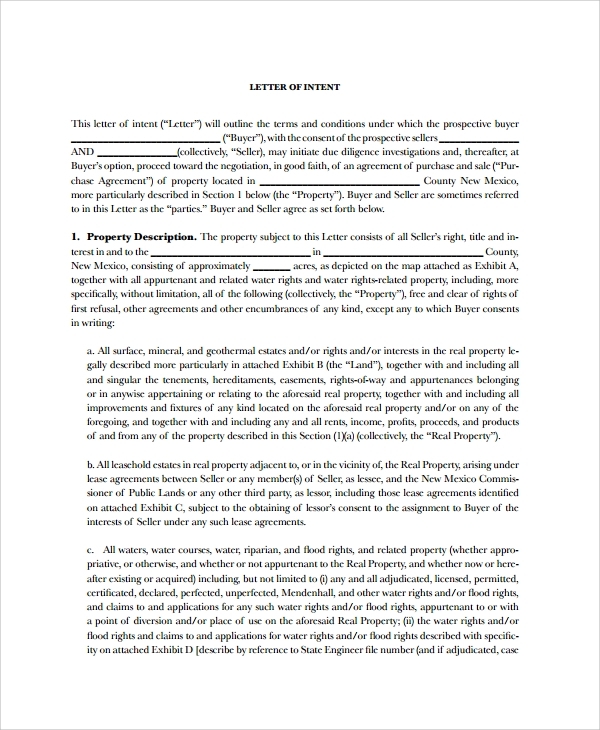 A letter of intent to purchase plays a big role in the decision of purchasing any property. 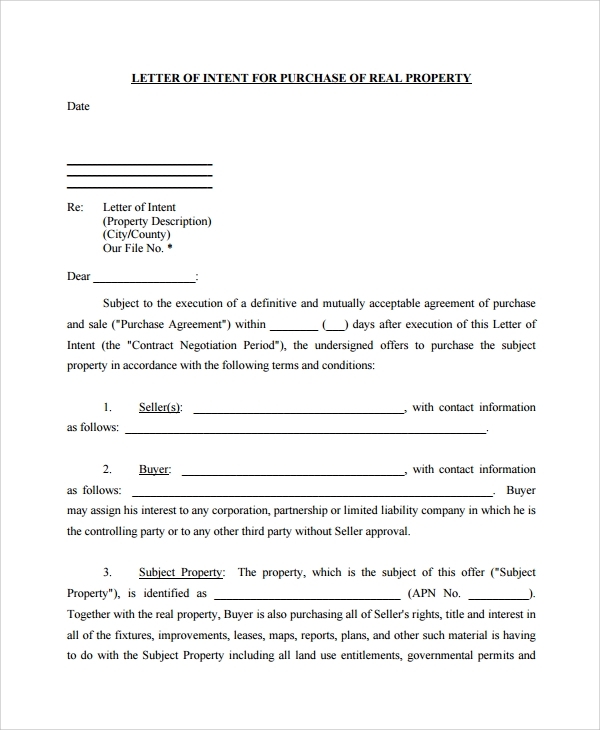 Whenever you plan on buying a property, you need to produce this letter of intent as an evidence of the purchase subject such as the seller and purchaser, background and the basic terms that cover of the purchase. 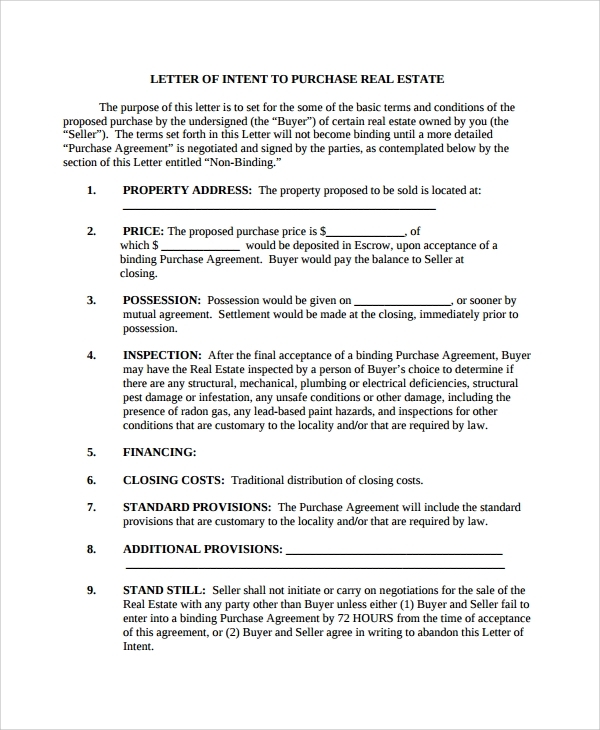 There are a lot of uses and purposes of a letter of intent to purchase the property. It can be used for a letter of expression as to how you are interested in the property. Sellers needs to make sure that the buyer has the ability to pay for the property. Buyers should also generate terms and conditions. 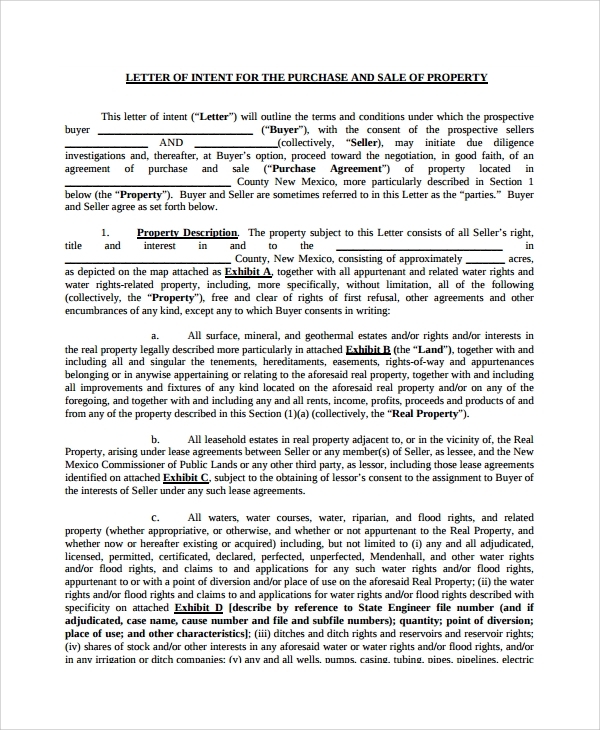 Also, there will be an agreed term of purchase like installment or multiple gives, so, it is vital that the letter should contain all the agreement for the purchase. You can also see national letter of intent templates. 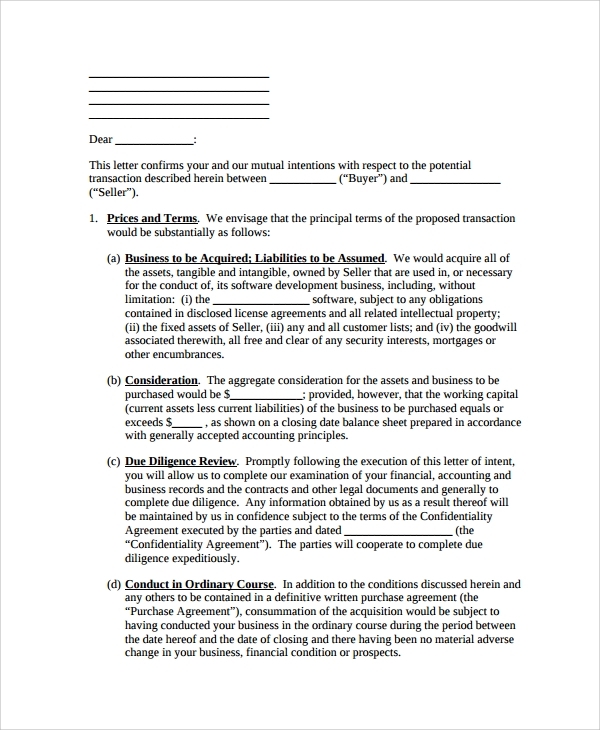 A Purchase proposal template is a strong letter of intent to purchase property. It serves as an evidence as to the agreement of the purchaser and buyer. 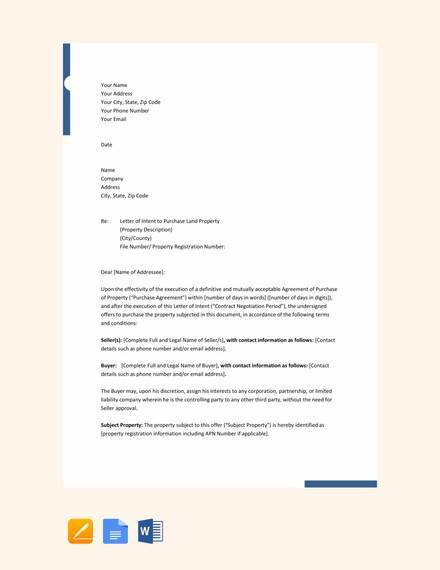 It states the property description, address, file no., body of the letter of intent, sellers information, buyers information, subject property, purchase price, terms of purchase, deposit, and others follow. 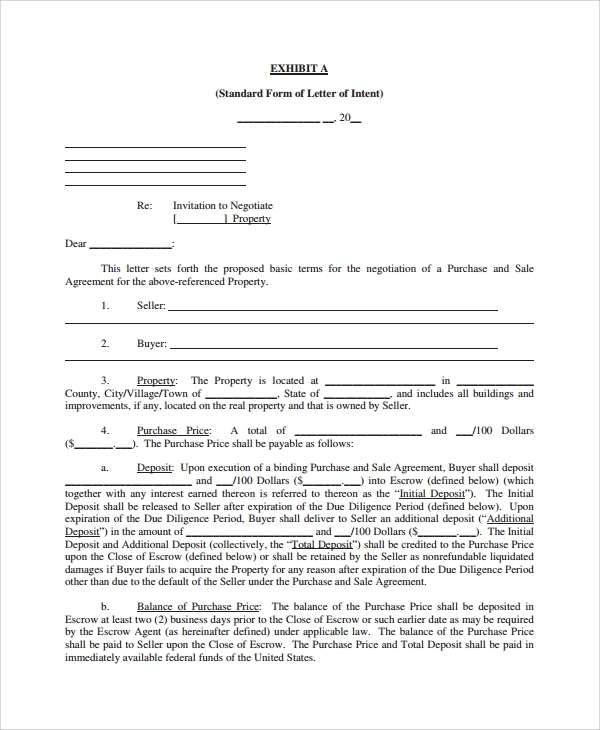 When do I need a Letter of Intent to Purchase Property? 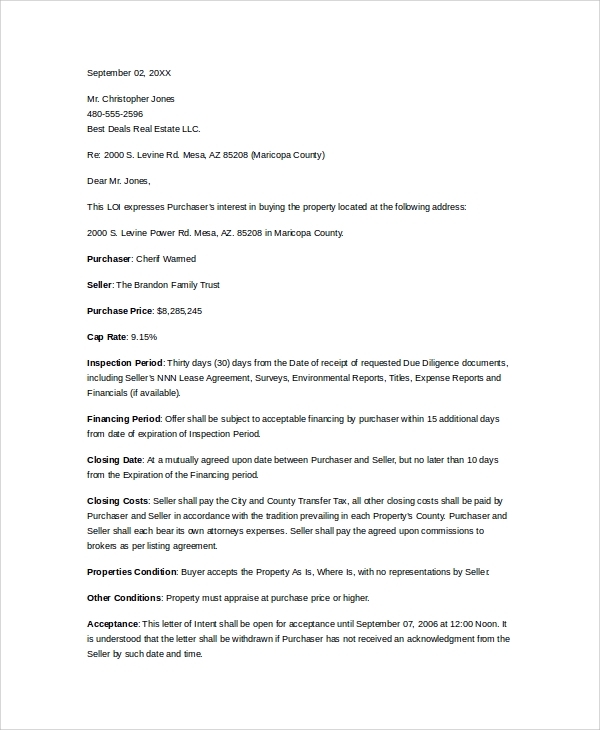 How to Create/Write a Letter of Intent to Purchase Property? 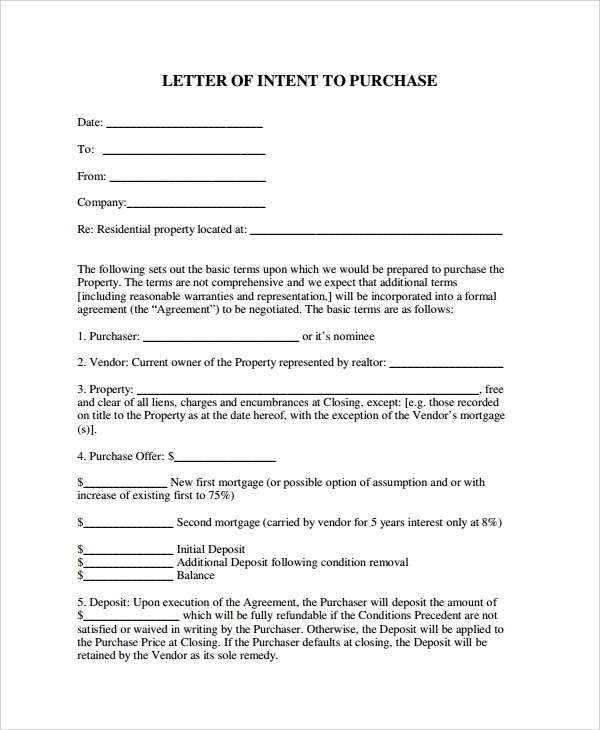 Creating a letter of intent to purchase property is easy and simple with the knowledge. However, if you don’t have the knowledge as to how it can be created, then you can get sources online. To start with, simply look out a sample of a letter and you can get an idea. 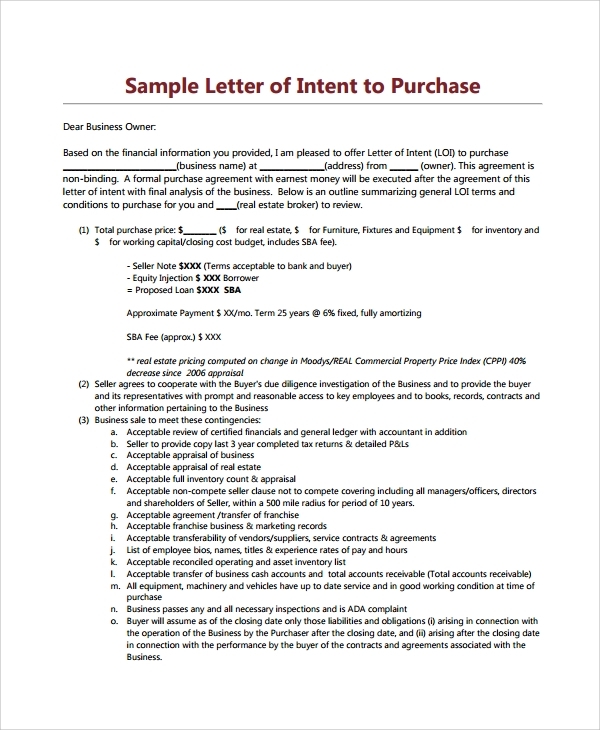 This letter covers the buyer information, seller information, terms of basics, purchase price and terms of purchase. All of these details are significant to create a letter of intent. You can also see college letter of intent templates.